Arc System works has released another new trailer for their upcoming crossover fighting game BlazBlue Cross Tag Battle. It shows off three more new characters for the game, as well as some other interesting information. The first two characters are both from the BlazBlue series; Rachel Alucard and Hazama, two major players in the series. It will be interesting to see how they play with the completely overhauled system in Cross Tag Battle, especially considering how reliant Hazama is on his Drive for any kind of mobility in other BlazBlue games. 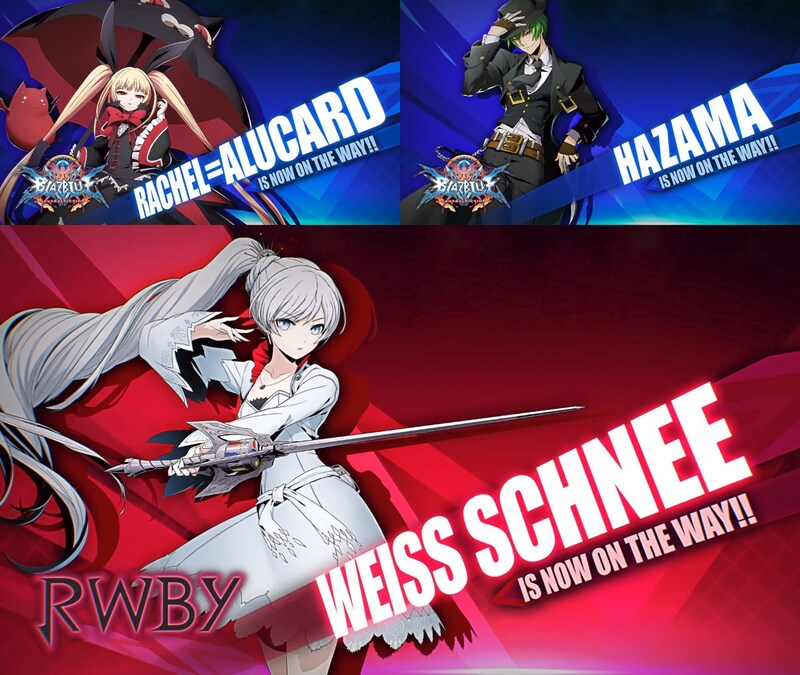 The third reveal was a second character from the RWBY series, Weiss Schnee. This trailer’s focus on BlazBlue characters reinforces a statement by an Arc System Works representative to a player at NYCC last weekend that the game will have more characters from BlazBlue than from the other three series. That said, it’s still early in the reveals, so what this means for specific numbers remains to be seen. The trailer also contains a few other pieces of helpful information about the game. It reveals that BlazBlue Cross Tag Battle will be launching on PS4, Steam, and Nintendo Switch when it comes out in 2018. It also announces that the next set of reveals will come in “late October”, possibly around the time of Arc Revolution Cup 2017 next weekend. It also features a slightly different logo design for the game than what was in previous trailers. The game has already been playable at NYCC, RTX London and the South East Asia Major in Singapore. Arc System Works released a 7-minute gameplay video, and you can find some specific impressions of the build from professional BlazBlue players here and here. These reveals bring the roster up to 10 characters: Ragna, Jin, Rachel and Hazama from BlazBlue; Yu and Yosuke from Persona 4; Hyde and Linne from Under Night In-Birth; and Ruby and Weiss from RWBY.